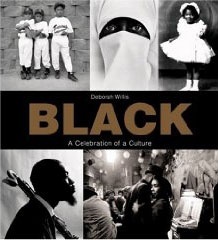 Black: A Celebration of a Culture, presents the vibrant panorama of 20th-century black culture in America and around the world in more than 500 photographs from the turn of the last century to the present day. Each photograph, hand-picked by Deborah Willis, America's leading historian of African-American photography, celebrates the world of music, art, fashion, sports, family, worship or play. From Saturday night parties to Sunday morning worship, Jessie Owens to Barry Bonds, Ella Fitzgerald to Halle Berry, Black: A Celebration of a Culture is joyous and inspiring.